Photo submitted by the Miner Aviation Team. The competition will be held Thursday, April 11, through Sunday, April 14, in Tucson, Arizona. Missouri S&T’s Miner Aviation Team will compete against other collegiate teams from around the world at the event. This is the first time S&T will compete at the AIAA event. This year’s aircraft are designed to support carrier operations and be able to carry a payload. Students will drop six “attack” loads – foam darts – and release a detachable mock radar dish from the aircraft. All of this year’s aircraft must fit within a 3-foot-wide by 2-foot-tall box while being able to take off from a 10-foot-long ramp. Students must also pass a technical inspection of their aircraft and have already presented a design report to a panel of aerospace industry experts for scoring. 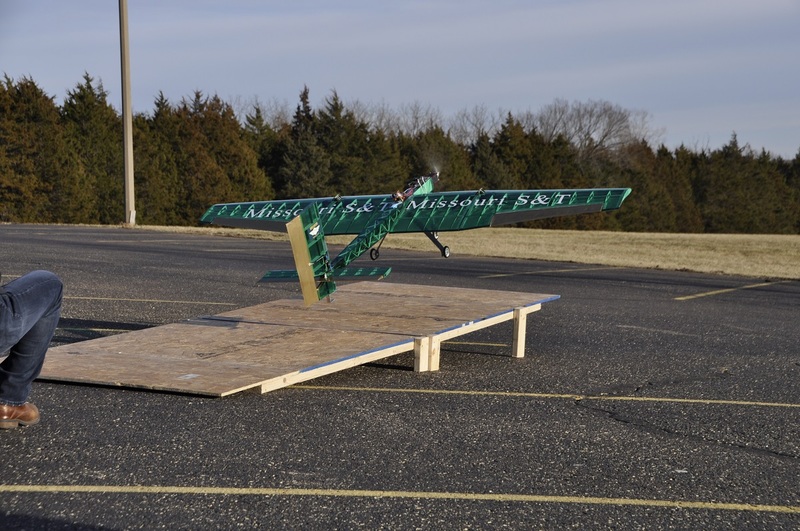 Missouri S&T’s aircraft, named “The Dragonfly,” is designed as a folding wing aircraft capable of lifting off with a relatively heavy load while remaining lightweight. Dragonfly’s nearly 9-foot wingspan folds in on itself at the push of a button and has a custom wing shape designed for the competition by the team members. The teams also had to design and construct their own custom battery packs without the use of lithium power cells. The Miner Aviation Team is one of 20 student-run teams in Missouri S&T’s Student Design and Experiential Learning Center (SDELC). The SDELC, housed in the Kummer Student Design Center, provides real-world team-based operations, including computer design laboratories, a manufacturing shop, office space and logistical support. Design teams mirror small start-up companies that plan large-scale projects, organize into departments, raise funds, communicate their ideas and solve open-ended design challenges. Most teams compete annually against other collegiate teams from around the country and the world. 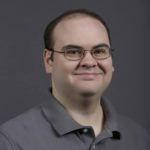 For more information about the teams, visit design.mst.edu.